Thanks for joining and sharing the Thunderclap campaign! When the Rome Statute, one of the possibly most powerful and important documents in the world was drafted, environmental crimes where on the list of possible crimes against peace and security of mankind. But it was removed without vote and without any reason given. This was possible because it has not been in the public domain. But these times have changed. We are able to keep it in the public domain and through our possibility to connect nowadays, we can prevent it from disappearing again. We can make sure others will hear and know about it but also propose and inform about what we want to have put in place. Lets raise our voices for an Ecocide Law and show that we believe in it. We can create a momentum around it by sharing the campaign or becoming a voice for Ecocide Law. Share it on Facebook, Twitter and tell the world about Ecocide Law. This is the moment to speak out as one united voice for Ecocide Law. Polly Higgins is an international lawyer, UK based barrister and award-winning author. 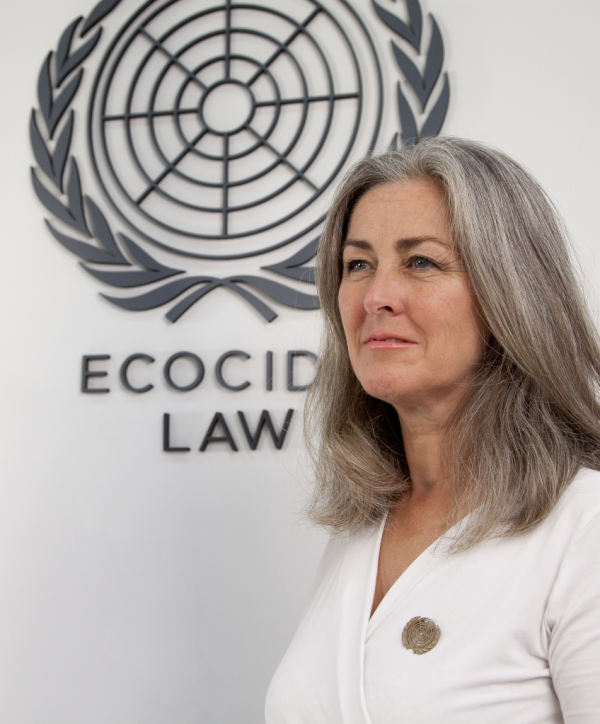 Founder of the Earth Law Alliance and The Earth Community Trust, she has garnered a number of awards for her work advocating for a law of Ecocide. She received an Honoris Causa Doctorate from Business School Lausanne 2013; in the same year she became the Honorary Arne Naess Professor at Oslo University. Her first book,Eradicating Ecocide, won the Peoples Book Prize in 2011 (updated 2nd edition, September 2015). In November 2015 VPRO (Dutch BBC) featured a documentary about her work, called Advocate for the Earth. Become a voice for Ecocide Law!